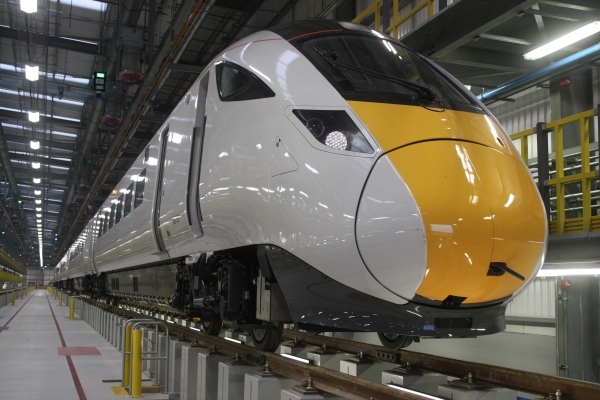 Hitachi Rail Europe (HRE), the company building and maintaining new intercity trains, is on schedule to employ 250 people at their newly built Doncaster depot. The depot is hiring a brand new team to maintain new fleets of intercity trains inspired by Japanese bullet trains, which are due to start running next year, connecting northern cities to London and Scotland. Hitachi has invested £80m in the Doncaster site to create a facility that is clean, light and packed with the most advanced industry technology. The leading rail firm has breathed new life into the region’s rail sector, building upon its illustrious past which saw steam trains housed on the site as early as 1878. The primary role of the depot is to make sure that each train, having carried thousands of people a day, is ready to offer passengers the same service the next day. This means the Doncaster depot needs staff that can do everything from maintaining the engines to keeping the trains clean. So far 60 people have joined the new depot team, with the next wave of recruitment underway, focussing on hiring local engineers with experience in mechanical and/or electrical work. The depot is also looking to attract new train maintenance apprentices to start in September 2017. When looking for a new home to maintain intercity express trains for the next 27.5 years, Hitachi chose Doncaster because it has a number of qualities; including its proximity to the East Coast main line and local expertise. Doncaster and the wider region has a range of industries employing people with skills that HRE is looking for. The recruitment drive at Doncaster has seen new employees join from a variety of sectors such as aviation, automotive, and the military. To find the best candidates, HRE is placing an emphasis on recruiting people with an excellent attitude towards work, as well as having transferrable technical skills. HRE also wants to recruit from those groups often underrepresented in rail, like women and young people. HRE’s Managing Director, Karen Boswell MD, has been a leading figure in the rail industry calling for greater diversity. To inspire a new generation of rail workers from a diverse range of backgrounds, HRE wants to actively engage with schools and local community groups. Links are being forged with local schools and colleges where HRE will demonstrate the wide-range of opportunities available in rail industry as well as promoting participation in STEM subjects. 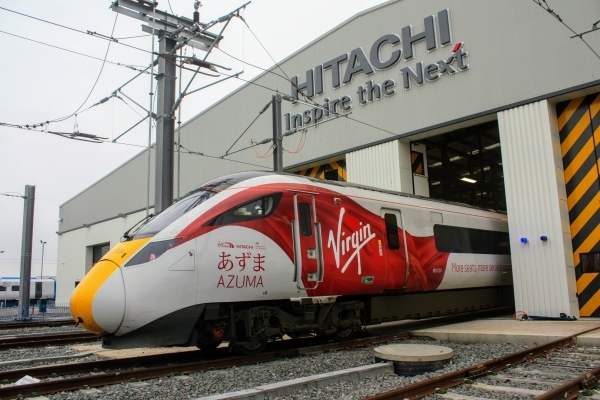 Hitachi’s Doncaster depot will be home to trains for two train operators – VirginTrains’ class 800 Azuma, coming into service on the east coast in 2018, and Transpeninne Express. The new trains will deliver a step change in passenger experience, offering people more seats and modern technology. HRE’s train manufacturing facility at Newton Aycliffe, County Durham, will build the new fleets of intercity trains. The Doncaster depot is one of the first calling points for newly built trains, before testing on the network begins. Geoff Elliott, General Manager for East Coast maintenance said: “We are proud to carry on Doncaster’s rich rail history by building a modern depot which will soon service new trains carrying millions of passengers. “Our newly built depot is a clean and modern environment which will break all stereotypes. We are offering people the opportunity to work on 21st century trains using industry leading technology and tailored training. Applications should be made via our careers website; http://www.hitachirail-eu.com/careers.